In Bolt, 2 players play as robots able to send a lightning ball to each other. 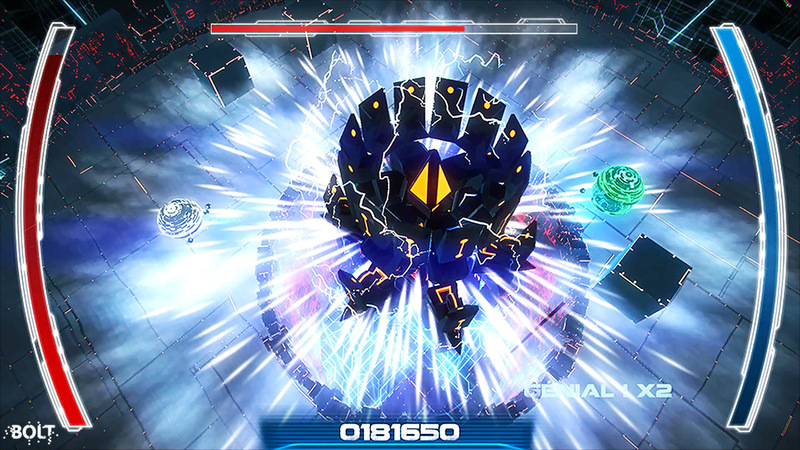 The ball inflicts damage to whatever it goes through, gaining size as it is thrown. 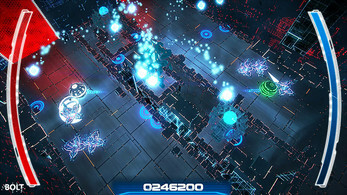 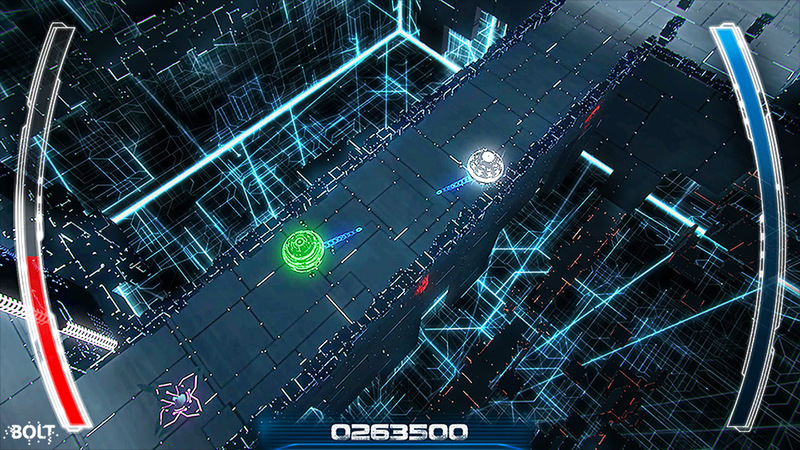 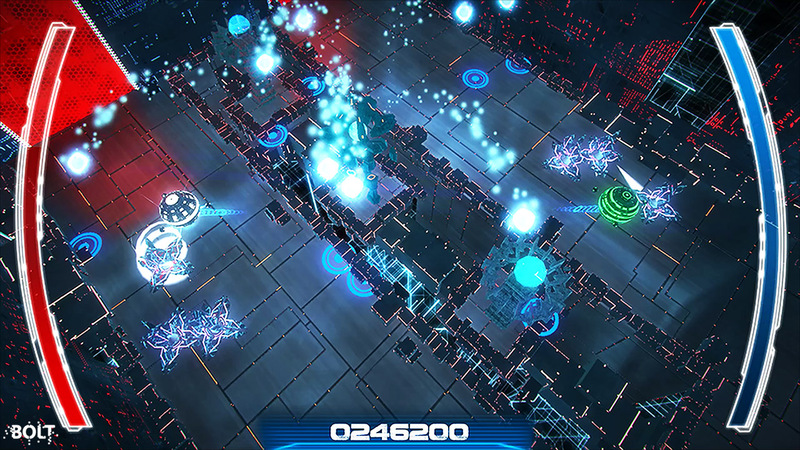 The ball allows the robots to progress through the dungeon in a positioning- and cooperation-based gameplay.